Absorbs shock and protects electronics. Ideal for mounting all marine accessories, electronics, and trolling motors without having to get under the deck or behind the console. The rubber limits vibration and provides a solid installation. MotorGuide factory isolators come with many of our mounts and are a quick and simple way to mount a trolling motor with limited access. 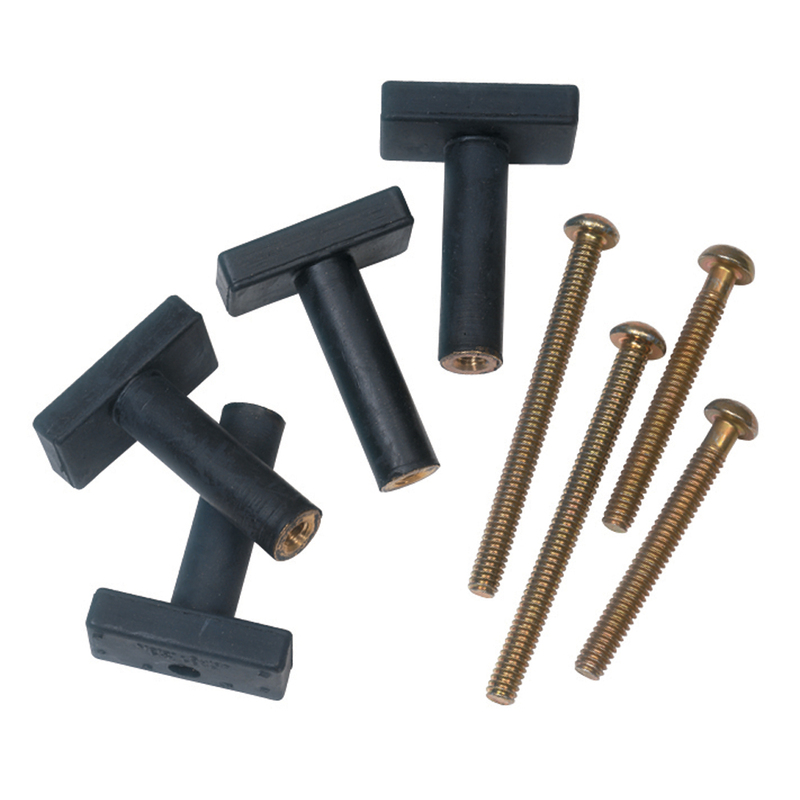 Each rubber isolator has a molded-in nut inside the small end, that when tightened up against the underside of the deck by the stainless steel bolt forms a rubber mushroom shape that hold the mount in place. Each kit comes with 4 stainless steel bolts and 4 rubber isolators, along with mounting instructions.